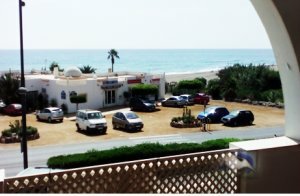 A great opportunity to purchase a lovely frontline 2 bedroom apartment on a small community with its own private swimming pool and garden only a few moments from the beach at Mojacar Playa on the beautiful Costa de Almeria. This apartment will offer a fantastic all year round or holiday home for the discerning buyer. Alternatively this could perhaps be an ideal investment property for those looking to break into the holiday or long term rental market.